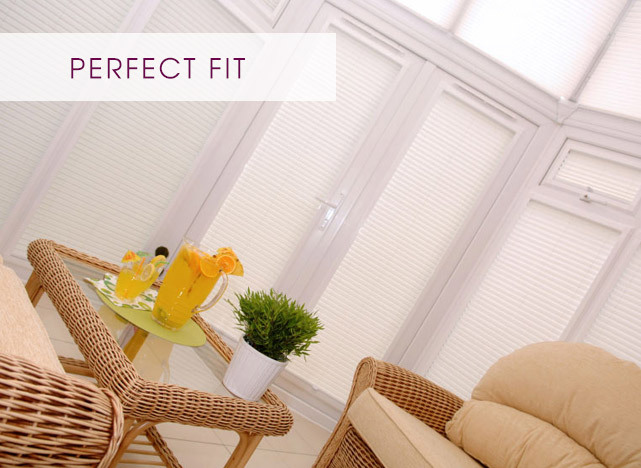 Cleverly designed to fit to the beading of most UPVC windows and doors - Perfect Fit Blinds are the perfect way to give your window, door or conservatory a stylish and modern look. Pleated, Venetian or wooden blinds fit into a powder coated aluminium frame which clips behind the glazing beading without the need for mechanical fixings. Perfect Fit Blinds fit flush up against the window so there are no gaps down the sides. They also help retain heat loss in winter and are extremely neat as they don't take up any space on the window sill.